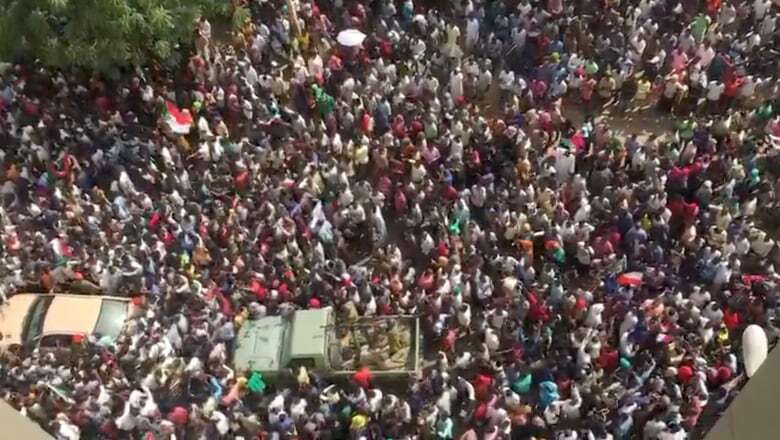 Following months of street protests, Sudan’s military has ousted President Omar al-Bashir, who ruled the North African nation with an iron fist for 30 years. Few are expected to miss Bashir, who is wanted for genocide by the International Criminal Court related to crimes committed in Sudan’s Darfur region and presided over a government accused of corruption, violence and economic mismanagement. Tens of thousands of protesters have been rallying across the country of 43 million for weeks calling for democracy, jobs and an end to corruption. Thursday’s televised address from the defence minister announcing two years of military rule, ostensibly followed by free elections, is unlikely to satisfy their demands. They want a civilian-led technocratic government put in place for four years to try and bring the country together and organize new elections. 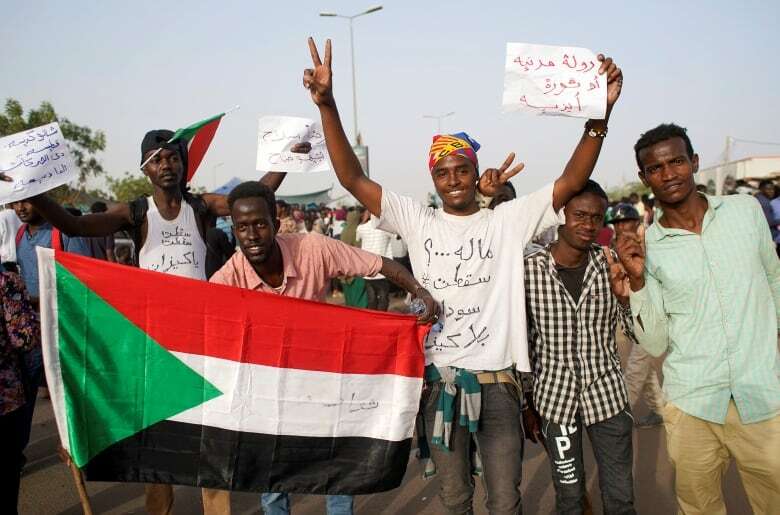 “We assert that the people of Sudan will not accept anything less than a civil transitional authority composed of a patriotic group of experts who were not involved with the tyrannical regime,” the Sudanese Professional Association, an umbrella group of unions behind recent protests, said in a statement after the military’s announcement. Analysts said those demands aren’t likely to be met by the powerful security establishment. Gen. Awad Mohammed Ibn Auf , the vice-president and defence minister who was appointed by Bashir before announcing the president’s removal on state TV, is “very much a symbol of the regime,” said Ahmed Soliman, a research fellow at the U.K.-based think-tank Chatham House. CBC explains how Sudan got to this point and what might happen next. What sparked the latest unrest? Protests over rising bread prices began in rural areas in December 2018 and quickly spread across the country, which culturally straddles the Arabic-speaking Middle East and Africa. 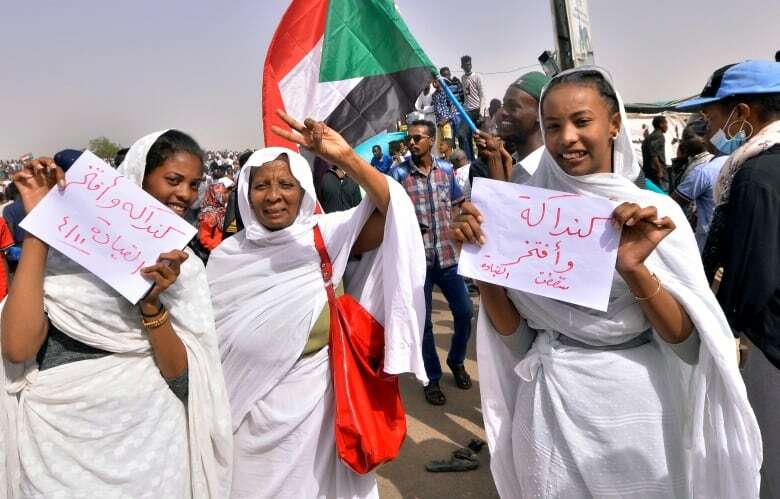 “Sudan’s economic situation at the moment is dire,” said Michael Jones​, a researcher at the Royal United Services Institute for Defence and Security Studies in London. GDP per capita is less than $4,500 US per year and the unemployment rate is 20 per cent, according to U.S. government data. Echoing previous protests linked to the so-called Arab Spring, demonstrators shifted their demands from economic grievances to calls for broader political change. More than 50 people have died in the protests, according to rights groups. Thousands have been jailed. How did the country get here? Since winning independence from the British in 1956, Sudan has had two revolutions — one in 1964 and another in 1985. Popular protests helped overthrow military regimes during both of them. Periods of democracy, however, have been short lived amid uprisings and military coups. 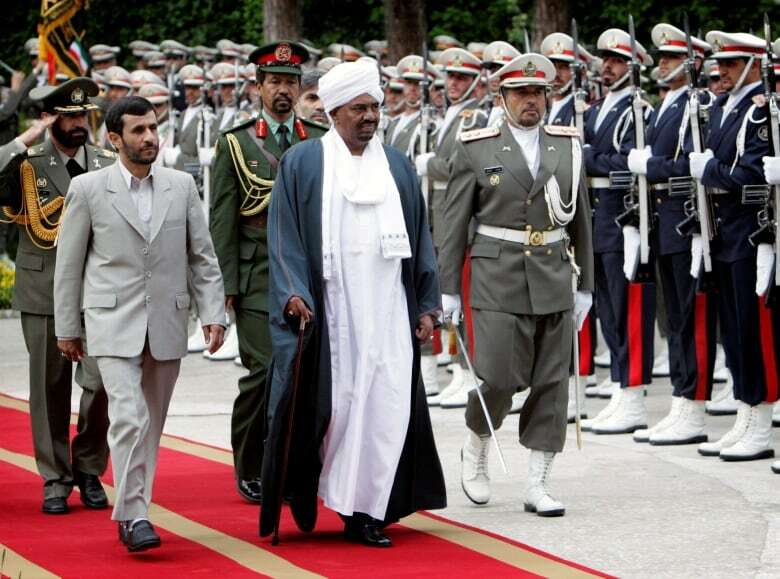 Bashir came to power in 1989 after leading a coup organized by the National Islamic Front. The U.S. designated Sudan as a state sponsor of terrorism in 1993 and launched sanctions in 1997. The following year, the U.S. launched missile strikes against a factory in Sudan that it accused of producing chemical weapons. Oil exports began in 1999, providing the country with an economic lifeline. Most of the oil was extracted from the south, home to a separatist movement. Ethnic violence in the country’s western Darfur region beginning in 2003 led government forces and allied militias to carry out a campaign of ethnic cleansing against the area’s non-Arab population, killing hundreds of thousands. Separately, South Sudan became an independent country in 2011, after residents voted overwhelmingly for secession in a referendum. When it left, it took much of Sudan’s oil production with it, although much of the crude is exported through facilities in the north. The two countries are still involved in territorial disputes. The U.S. removed some sanctions on Sudan in 2017, but the economy did not improve. Following protests and rising inflation, Bashir’s government imposed a state of emergency in February this year. The African Union’s ability to effect change on the ground, however, remains limited, Jones said. The U.S., U.K. and Norway issued a joint statement on Wednesday calling on authorities to stop using violence against peaceful demonstrators, free political prisoners, lift the state of emergency and deliver a plan for political transition. Canada participated in UN peacekeeping missions in Sudan’s Darfur region and other parts of the country until 2009. Canada has also participated in UN-mandated sanctions, including an arms embargo and travel bans against designated individuals. Trade between the two countries is negligible at $44 million in 2016, including $350,000 in imports from Sudan. Protesters have pledged to stay on the streets until the military announces plans to turn power over to a transitional civilian administration. Having amassed power and money through patronage networks, it seems unlikely the security establishment will be willing to share power at present, Jones​ said. Politically, following the replacement of state governors with military officials in February, and with a state of emergency imposed on the population, the military retains firm control over state institutions. There could be a disconnect, however, between senior military officials and mid-ranking officers who are sympathetic to the demonstrators, Soliman said. The depth of these fissures remain unclear.